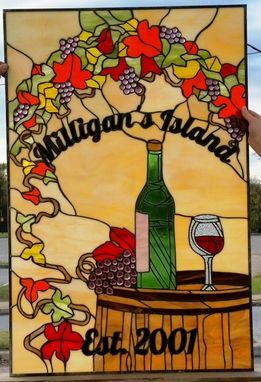 This gorgeous stained glass panel was created to complete our customer's wine cellar, which you can see in the last photo listed. Also, since the piece was made for a summer house which is known as "Milligan's Island", we include that on the design. The area where the stained glass is visible is: 23 9/16" x 35 5/16". 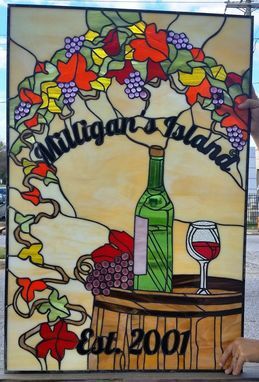 If you are looking for a piece that stands out in a room of your house, like this one does, contact us and we'll custom made one, in any size and colors you may need.